We’ve had a lot of changes in our life – some of our choosing and some not. One thing I’m choosing to change is I want to start blogging and reconnecting with other bloggers again. I want to write more about what we’ve been learning about life after adoption, fasd, rad, raising traumatized children, grief and loss and more! I’m tired of being isolated and alone. I want to use the things we’ve been living through to help others who are walking in those valleys now! So, if you are new here, let me introduce myself and my family. I’m Amy. 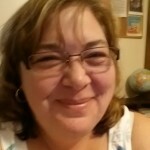 I’ve worn many hats over the years, daughter, sister, wife, infertile, employee, boss, pastor’s wife, ministry leader, foster parent, adoptive parent, mourner, student, cub scout leader, boy scout volunteer, homeschooler, SAHM, WAHM, and more! I’ve been sharing here since 2002. We’ve adopted 4 kids who are now 21, 19, 15 and 8. We also had a surprise pregnancy but our son, Josh, died in Feb 2003. He was 9 mos old. I’ve been married almost 29 years. Neither of us are perfect but we are committed and both of us realize we are better together! I hope to hear from a few of you – whomever you are – and make some new friends! And I look forward to reading your blogs so please leave me a link! Follow “Show Us Your Life” at Kelly’s Korner! is the random posts list in the sidebar (behind “most commented”). I added it on a whim, but I’m loving it! I’ve been blogging since 2003 – wow, that’s 12 YEARS!! oh my word. Anyway, I’ve been blogging so long that I’ve forgotten many of the things I’ve written or linked to over time. Add to that a bad memory (we think it’s a side affect from grief/shock/depression) and I’m delighted to read some of the stuff I’ve written. I have found some fun stuff from 2007. And, I’ve found some boring stuff – but that recipe is a great one!! – from 2006. But then I’ve also read some posts that were hard to read. Maybe I didn’t share what was going on in our family, but I can see the hard days in what I didn’t share or what I requested in prayer requests. I pray we are truly beyond those days and don’t experience them with any of our other children. 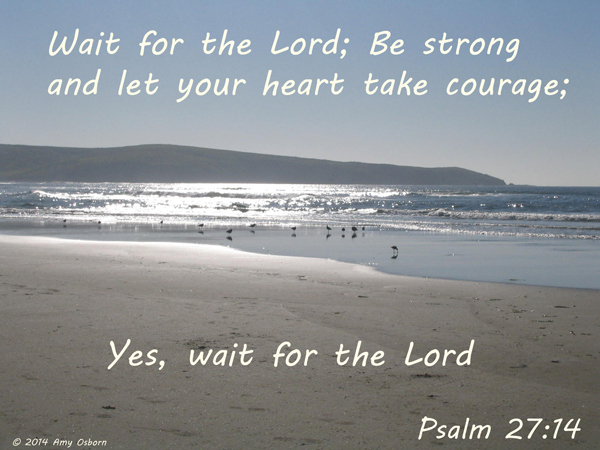 Two things I know I can count on – the Lord is big enough, and nothing stays the same! PTL! I’ve been watching some friends be lied about and gossiped about for quite some time now. This post isn’t about them except that I’ve been praying and trying to encourage and lift them up. And, the Lord has been silent. The trial is not over. It continues and it’s not fair. And, the Lord is silent. 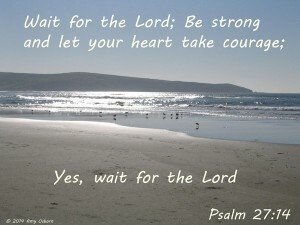 Waiting on the Lord has been bringing up some pain for me that I’ve haven’t wanted to look at or think about. Times when only God could do something and yet, He didn’t. Situations where only He could change them and yet, He didn’t. I felt as dry and lifeless as that old nest I pictured above. But, eventually, through prayer and scriptures I would pull myself together and trust Him anyway. But this recent trial – not even mine – seems to be hitting me hard. Maybe it’s harder to watch others go through the valley than to travel it yourself. Or maybe it is time for me to deal with some stuff I’ve let sit for awhile. Today, through tears, I googled “When God is silent” and one of the first responses was a sermon by Charles Stanley by the same name. It really blessed me and I wanted to share parts of it with others as needed. To get our attention. When the bills are all paid and the bellies are full, am I likely to turn to God? Well, we should, but if I am honest I will admit that I am more likely to turn to Him when life is hard. When I need guidance, comfort and support. To teach us to trust in Him. Oh yes, I can see and feel that…now. To teach us the practice of sitting quietly in His presence. In the hard days after Joshua died and my arms were so very empty, I was afraid of my own thoughts. Bedtime was very scary because I couldn’t stop all the what ifs and maybes in my head. I started to visualize crawling up into my Abba Father’s lap and having Him enfold me in his powerful strong arms. Only then did quiet and sleep come. He was silent, but He was there. 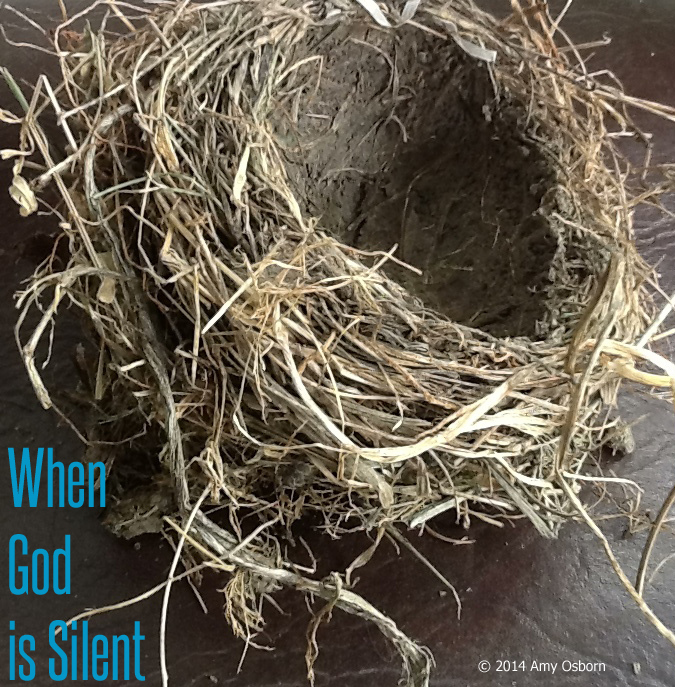 There are many ways we can respond to God’s silence. Some are disappointed and discouraged. They doubt He’s really there. They fear they have committed a sin TOO great for forgiveness and maybe they’ve lost their salvation. And, sometimes they get angry. But Mr. Stanley does a great job reminding of us what we SHOULD do in the face of God’s silence! Ask the Lord why. Even Jesus questioned the Father. It’s OK. Ask Him! Pray and then listen for Him to speak. Remember God’s silence doesn’t mean he’s inactive! Trust Him. Remember, He works for good in our lives! Respect God’s right to be silent. Another one that stopped me cold. Sometimes I relate my relationship with God to my parenting. Aren’t there times I don’t reply because it will help them grow, but sometimes I am silent because I have already told them what they need to do or go and now they just need to do it. Wow. Read the Bible, and tell the Lord you are available to listen. Today as I struggled, I wrote out Scripture to help me take it in even more. The Lord definitely spoke through the words that were coming in through my eyes, rattling around in my brain and coming out in the motions of my fingers! I was so blessed by this simple act. Finally, keep praying. Eventually, you will have a breakthrough. When I reflect on where I’ve been – and the silent times – I remember that He does not stay silent. Praise the Lord! Thanks to my Mom for sharing her favorite verses today. Picture is of Tamales Point from Dillon Beach, CA. I think I need a day there. Today isn’t just another Thursday. Today Joshua would have been 12 years old. There are no banners. There is no cake. There are no cards from family from far away. And “what ifs” and “if onlys”. I was going to try to do what was needed and expected and act like this is just another day.